The pandas are back! Online, at least. They've been in the zoo the whole time. 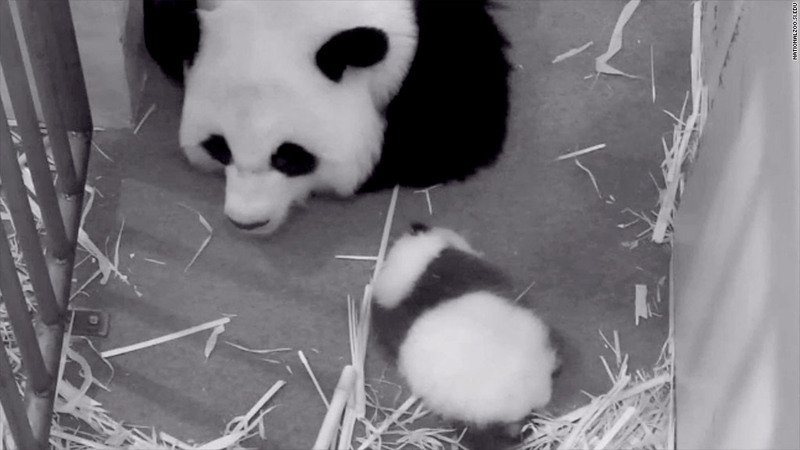 The nation got its first glimpse in nearly three weeks of Tian Tian, Mei Xiang and the unnamed cub Thursday morning when the Smithsonian National Zoo brought a slate of live cameras back online. The cameras had been shuttered along with the rest of the zoo on Oct. 1 when the federal government closed. The zoo itself is still closed and will reopen to visitors on Friday. But some virtual visitors looking for a peek at the pandas found the reopening wasn't without hiccups. The Zoo acknowledged visitors "may experience some difficulty streaming the cams" because they "can only handle a limited number of connections" and are very popular. Perhaps to satisfy the interest, the zoo posted online a video clip of the cub squealing adorably, apparently during a veterinary exam. She is now nearly eight weeks old and actually looks like a panda -- rather than the pink infant born to Mei Xiang in August. 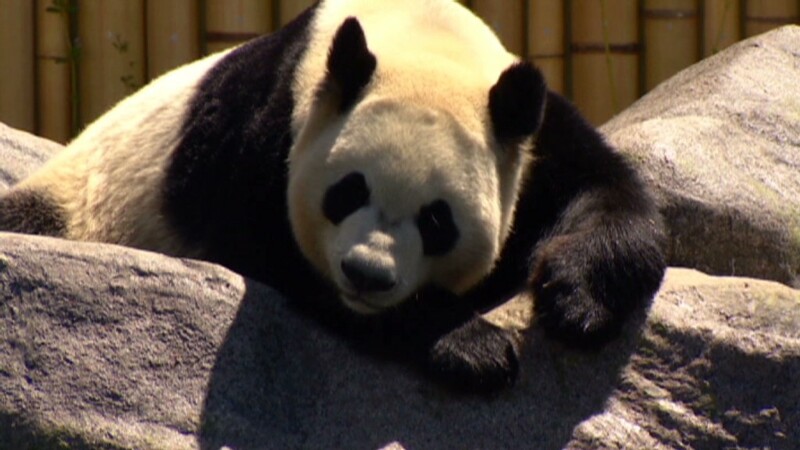 She's gained 2 pounds, begun to open her eyes and "now reacts to the noises she hears in the panda house," the zoo said. Also back online are over a dozen other zoo cameras, including views of leopards, fishing cats, gorillas and a particularly fuzzy window into the naked mole-rat's habitat.